Performers include: Luke Roberts, Brandon Jay McLaren, Nazneen Contractor, and Sarah Greene. This dramatic TV series revolves around the real-life professional experiences of world-renowned crisis negotiator Laurent Combalbert and his partner, Marwan Mery. Experienced crisis and hostage negotiators, Eric Beaumont (Luke Roberts) and his team are brought in to save lives when no one else can. He understands criminals better than they sometimes understand themselves. He uses his insight into human behavior to resolve the most difficult kidnap and ransom cases. Despite the stakes, Eric refuses to resort to violence, even when confronted by some of the most dangerous criminals in the world. While Eric’s considerable powers of manipulation make him the best at what he does professionally, they often complicate his relationships with his family, friends and colleagues. 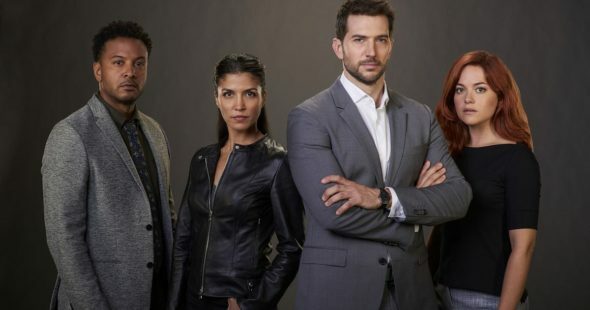 His team is comprised of psych-profiler Oliver Yates (Brandon Jay McLaren), former cop Zara Hallam (Nazneen Contractor), and, the newest member, an aspiring investigator named Maxine Carlson (Sarah Greene). Maxine is eager to prove herself but a dangerous secret from her past may pose a threat that even Eric is unable to resolve. What do you think? Do you like the Ransom TV show? Do you think it should be cancelled or renewed for another season? On tonight’s show (3/9/2019), near the beginning of the show there was a time of 3:17 PM that popped up on the screen. However, just after that there was a clock on the wall that showed 2:51. Looks like a blooper to me. Love this show. Best on Saturday. Smart cleaved. All characters are strong and stories are varied thrilling with heart. Would hate to see it go. Keep the show, I thought it was interesting and a good TV drama. I love Ransom. There are no good shows on during the summer months and Ransom was that good show. Please don’t cancel another good show. Love the show, Ransom. Please renew it! This is one of the best shows this year. It is suspenseful and has another story line on the inside. This show should be on prime time! Saturday evening is not going to make this show a hit like it would during the week. It is very addicting. When Saturday night came and it was replaced by another show I was crushed. Keep this one going!! My husband and I really love RANSOM. It’s full of action without being bloody gory! Really like the show. Certainly hope it will return.